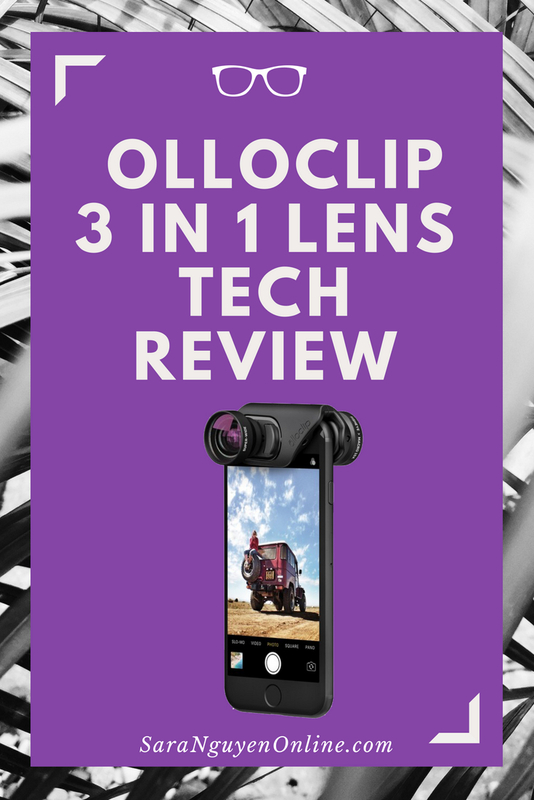 In this tech review, I test the Olloclip 3 in 1 lens to find out if this extremely popular lens is actually worth it. Check it out. Hello and we’re live. Hello and welcome. 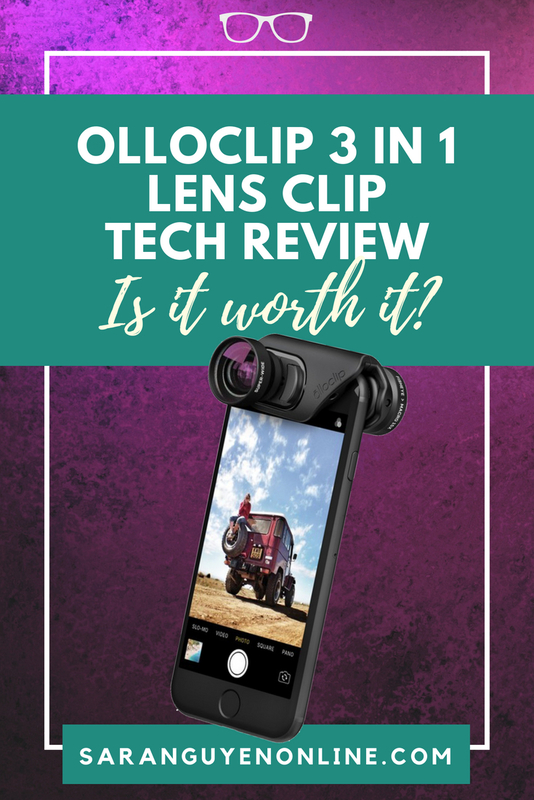 I recently acquired an Olloclip 3 and 1 lens clip and I wanted to do a bit of a test and review on this Facebook live, so you could see if it’s worth it. There’s a lot of buzz around lenses for smartphones, and pricing can range anywhere from incredibly cheap to extremely expensive. I saw this Olloclip, I’ve seen it around for a while, it’s quite a popular brand, so I purchased it for my iPhone 8 Plus. I’m testing it now so you can find out whether or not it’s actually worth it. So, I’m not going to do an unboxing, because personally, I find the unboxing a little bit boring. I really don’t have much interest in seeing you unpackage a box, so I’m just going to go straight into it. For those of you who don’t know me, my name is Sara Nguyen. 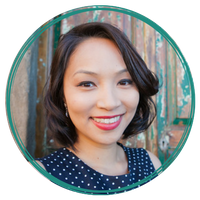 I’m an Online Marketing Strategist from Sydney Australia, and I’m here to help you build a better business using video with ease. So, let’s look at the Olloclip. 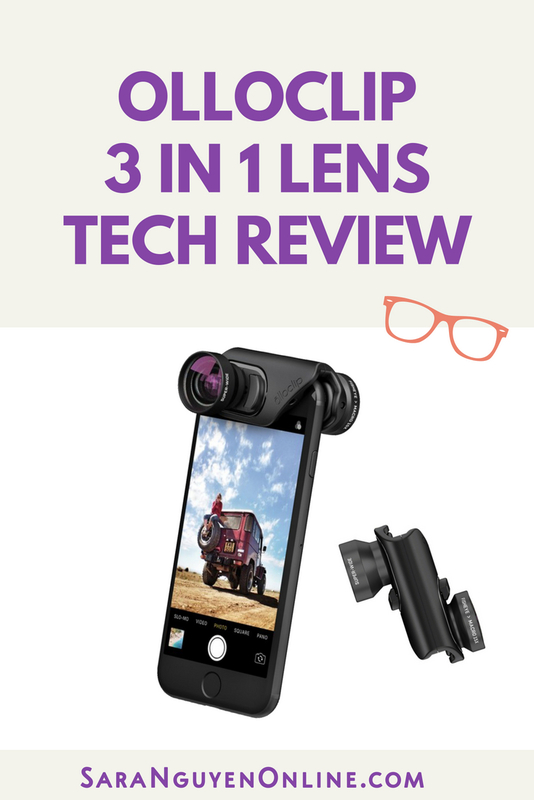 So, in the 3 in 1 lens set you get two lenses even though they say it’s a three-lens kit. So you get super wide which is this one and you get a fisheye and macro. So with this fisheye/macro if you take off this lens, then it becomes macro. In terms of using lenses for Facebook live, Instagram stories, YouTube live, I personally probably wouldn’t ever use the macro or fisheye lens. I find that just a little bit too close for my liking. I do think that if you were to do a lot of outdoor stuff, this is where the fisheye/macro lens would come in handy because it would enable you to get a lot more stuff into the actual shot. For the purposes of today’s demo I am going to do a test of the super wide lens of Olloclip, and with the fisheye lens and I’m going to compare it with, this is just a standard lens. Well, Dave got from a store and it’s general wide lens, so you can see I guess the differences in the quality between the Olloclip, which is probably the mid-range to expensive range. It’s not the top line, most expensive ones, I have a review of moment lenses when they arrive hopefully in the next two weeks, and against a cheaper brand. Right now, you are watching me on the front facing camera of my iPhone 8 Plus, and I’m going to now put on the super wide lens. What I want you to look out for is how much of the background you can see right now. So right now, you can see a bit of my backdrop and you can see the flowers and the director’s chalk boardy thing and the gold hashtag. When I put on the lens, let’s have a look now. Okay, whoa, look at that. So, that was pretty easy to put on. It aligns quite well and it sits quite nicely and it kind of clicks into place. I find with some lenses you have to get it exactly right otherwise you can’t really get it working properly, but I think that that’s pretty impressive. Look how much more you can see now, you can see the entire sets on both sides, you can see the entire chalk boardy thing and you can see a lot, all of that side over there as well, so this is just the front end camera with the super wide Olloclip lens. I quite like that, I think it would be really handy particularly when you’re recording and it just creates a bit of a distance between us, because in all reality, that’s a bit close. And to be honest you really don’t need to see me this close and probably you don’t want to see me this close, but with the lens, it creates a bit of distance. It looks a little bit further out even though I haven’t moved at all, and you can see a lot more of what’s going on in the background. So that’s the super wide lens review. That’s pretty cool, that’s pretty cool. So you’re looking at the Olloclip super wide lens. I’m going to whack that off and I’m going to compare now what it looks like with just an el cheapo super wide lens. Take note, so one of the things that people say to note with lenses is the corners. So, at the moment it’s pretty clear, there’s no black in the corners that I can see. Oh, there’s a little bit at the bottom, but that could just be because I’m looking at you through the Facebook Live, but it’s pretty clear and you can see quite a bit. So now I’m going to take you off. I feel like this is like the optometrist, and it’s like which one is clearer, lens 1 or lens 2? So, this is the cheaper lens, and to be honest I don’t think there’s a significant difference in terms of, there’s a little bit of a difference. Okay, no, no, a lied, so now I can see quite a bit of black happening in the corners. I think this one may go a little bit wider because I can see a lot more in the background, but it’s a little bit pixilated. So, this is the cheaper one and I can see a bit more black in the corners and it’s not as polished as I would probably get with Olloclip 3 in 1 super wide. So that’s interesting, just a little bit of a comparison. So that’s the cheaper one, you get black in the corners. It’s a bit harder to get right, because I have to get it aligned exactly with the camera, and if I don’t get it right which is very easy to do because hello, black, black, not cool, and that’s without and I’ll just snapback on the Olloclip, so you can have a look one more time. Beautiful, see, no black, no black, no black, much clearer as well, so that was interesting, very interesting. So, sometimes cheap costs more. I’m not saying that expensive is the way that you have to go every time, I’m just providing you with some information and some tests so you can make clear decisions for yourself. So we’ve got the Olloclip super wide back on, and now I’m going to test out the fisheye. Once again, I don’t think personally I would use the fisheye as much. I would probably use it if I was out and about and doing more Facebook Lives when I’m in the city or where I’m somewhere that’s really pretty and I want to capture more of the background, but for recording in office or recording in my studio, I think the wide lens is really good and probably more of what I need. But I will test out the fisheye, so you can see. We’re not doing macro because nobody needs to see me macro. Okay, I’m being an optometrist again, which lens is clearer, one or two? I’m like I don’t know they both look the same, I feel like there’s so much of a pressure. Anyway, back to the test. So this is whoa, okay, I may need to give it a second to reframe. So this is the Olloclip and it’s the fisheye which gives you that fisheye look. Do you know that some people eat fisheye, I remember one of my family friends who I grew up with and he’s like it tastes really good, it’s like creamy, and I’m like you are disgusting, do you not tell me about your fish eye eating. Anyway, I digress. Once again, the fisheye gives you a whole view of the room so you can see the wall to both sides, probably as behind the scenes as your ever going to get, given that you can see pretty much the entire room. It does have this, and it’s just the nature of I guess the fisheye that you’ve got the black all around. It may be a bit different on the back facing camera, I am using the front one. I’ll just try to adjust a little bit, whoa. It’s a little bit trickier with this on because you have to get it, I don’t know, I’m not sure how I feel about fisheye. I don’t think anyone ever needs to see me fisheye, and I would only use it if I had beautiful scenery behind me that I wanted to show more of. For the purposes of doing Facebook lives at home, in my studio, in my office, I think the super wide works really really great. 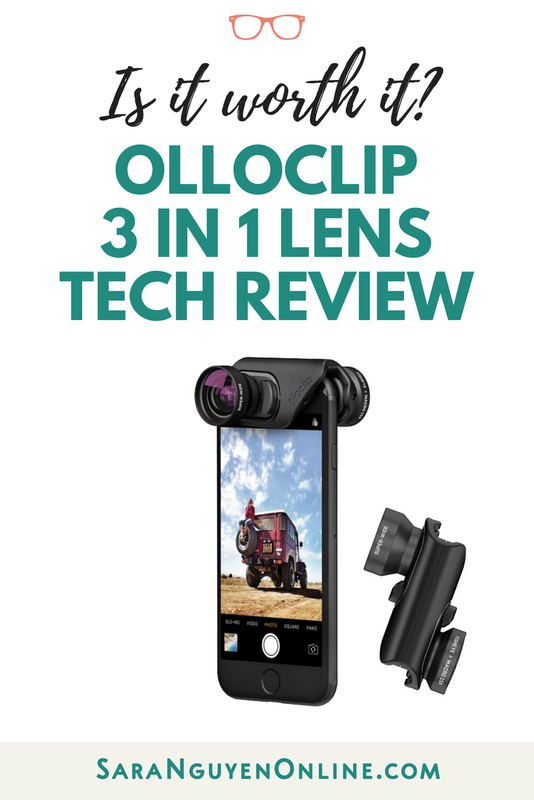 I just showed you the Olloclip 3 in 1 with the super wide view which I think is brilliant, really clear, really beautiful, no black edges. I also showed you a comparison between a cheaper super wide one, so the difference was I thought quite significant after all. You didn’t get black edges with the Olloclip whereas you did with the cheaper one. This cheaper one was a bit harder to align and get right, like I had to like fiddle around with it a little bit, its all about time saving isn’t it, because whose got time these days? And now you’re looking at me unfortunately through a fisheye lens, but it captures a lot. From what I can see, okay. I wouldn’t personally use it as much. I’m going to switch you back to the wide lens, and we can just admire how nice it is. That’s better, not so close anymore. So, there you have it, a quick review of the Olloclip Core Lens Set. They do make these specific for iPhone and non-iPhones, I’m sorry for being so ignorant there. I know there are other phones that aren’t iPhones, but mine is an iPhone so that was the one that I focused on because that’s what I’ve got. And they do make it to fit the particular phone size, so obviously the iPhone 7 Plus and the iPhone 8 Plus are the same size, so you’re able keep the same one, but there’s a different size for the iPhone X or iPhone 10, whatever you call it, and iPhone 6 and the lower ones as well, but I think they’re overall a pretty good lens. The 3 in 1, I might have a play around and do live just to show you what it looks like when you’re out and about testing it outdoors, outside of the office. For the purpose of recording more videos at home for your business or in your studio, I think the wide lens is really good. I’m not sure, yeah, I guess like if your business who had lot of stuff you could show close in macro, the fisheye may come in handy, but fisheye/macro is very popular. Like with all the research a lot of people are very interested in having a fish eye view of things and I don’t know why, but it just is. 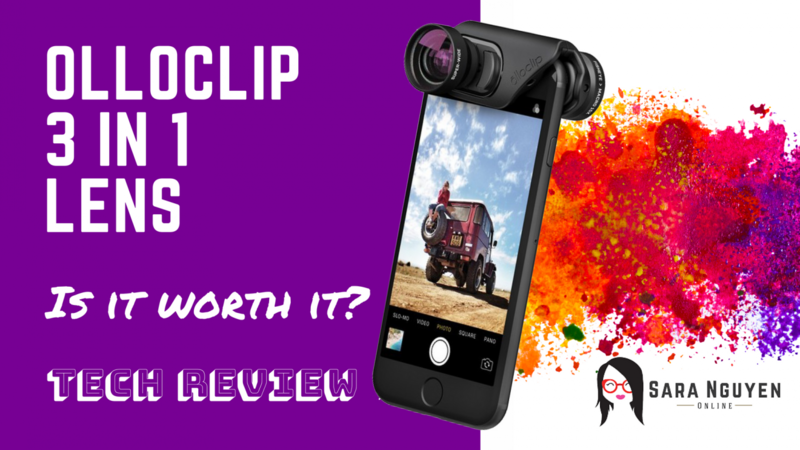 So, there you go a review of the Olloclip Core Lens Set. So if you’re looking to use more video in your business, having a lens like what I showed you is just one part of the equation. You need to figure out how do you get your audio right, how do you get the lighting right, and then what are you going to say and after what you say, how do you then convert people to actually buy what you have to offer? It’s no use just getting a lens, putting it on and expecting that to save all of your business problems. 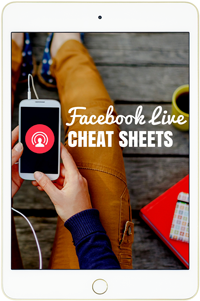 You need to have a comprehensive video strategy, and Facebook Live is a great way of growing your business and I show you all the things that you need to do in my Facebook Live Cheat Sheets. I’m going to drop a link to the Facebook Cheat Sheets in the description and in the comments, so if you haven’t got it already you make sure you grab it and I will see you in the next video. Thanks for now, bye.